LAST MEETING: Colorado won, 18-9, at the Pepsi Center on March 3, 2017. It’s been a long time since these two teams have played in a meaningful game. But the rivalry will kick back into high-gear when the West Division foes meet on Friday at the Scotiabank Saddledome for the first of three meetings this season. The Roughnecks enter the contest coming off of their first win of the campaign, a 15-12 victory over the Vancouver Stealth on Dec. 15. Colorado, meanwhile, have won both of their games this year, most recently beating the defending champion Georgia Swarm 14-11 on Dec. 23. In the off-season, the Mammoth saw some big changes — partially by choice and partially by circumstance. They traded star forward Callum Crawford and goalie Alexis Buque to the Buffalo Bandits for talented lefty Ryan Benesch. However, they also lost defenders Cam Holding and Dan Coates to injuries that occurred during summer lacrosse. Despite the loss of three important players, Colorado has opened the season by playing fast, skilled lacrosse at both ends of the floor. Newcomers Tim Edwards, former Roughneck Scott Carnegie, and rookie Ryan Lee have all made impacts in their short time with the Mammoth. After a quiet game to open the season, the Roughnecks superstar had a strong six-point showing at home against the Stealth. A key component of the Riggers offence, Dickson has always been a thorn in the side of the Mammoth. In 2017, he registered nine goals and nine assists in three games — helping Calgary win the season series 2-1. Watch out for Superman to take flight as the team celebrates the New Year in style. Coming to Colorado via a trade with Buffalo during the off-season, Benesch is off to a blazing hot start with his new club. 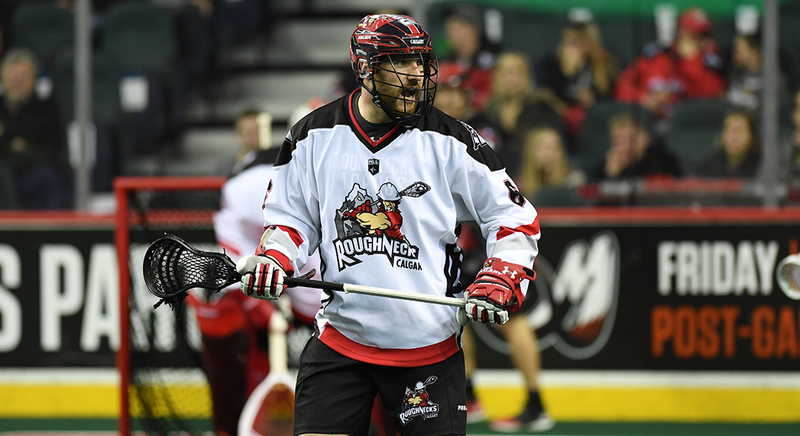 As a member of the Bandits in 2017, the Roughnecks were able to hold the lefty to just a single point. Given his hot-hand and early chemistry with his new teammates, Benesch is going to be a player to watch heading Friday night. In the Roughnecks’ opening game, they struggled to find the back of the net. They rebounded with a 15 goal effort in their home-opener in Week 2 of the NLL season. But how will they fair against one of the league’s top goaltenders? In two of three games last year, the Riggers managed to chased Dillon Ward from the game, but the 26-year-old netminder is playing fantastic lacrosse and will be a major factor in the outcome of the game.